Dry skin that’s beginning to show fine lines gets radiance with this rejuvenating all natural face cream. 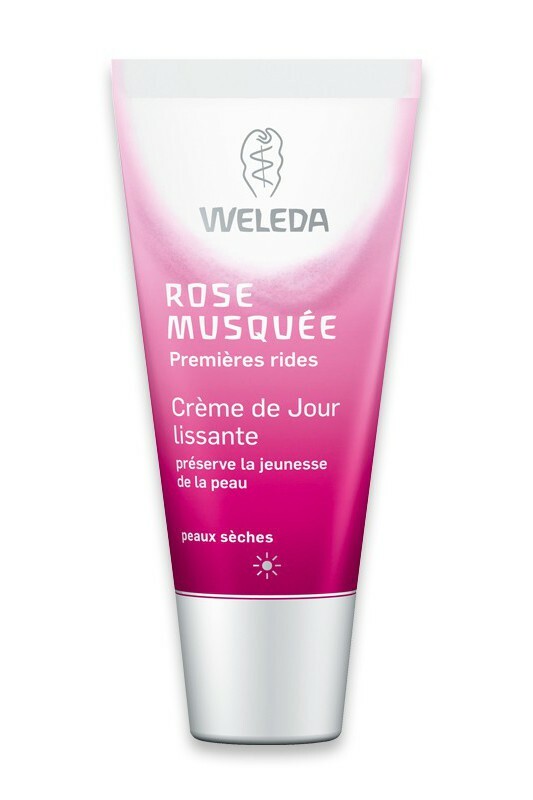 Weleda Wild Rose Smoothing Day Cream is a rich formula that deeply nourishes as it smoothes, balancing natural beauty you can see with moisturizing protection you can feel. With Weleda Wild Rose Smoothing Day Cream, your skin is revitalized and nourished with the antioxidants and essential fatty acids found in organic rosehip seed oil – all to counter the first signs of aging. Peach kernel oil in this all natural face cream protects your skin by strengthening and supporting its natural barrier against moisture loss. 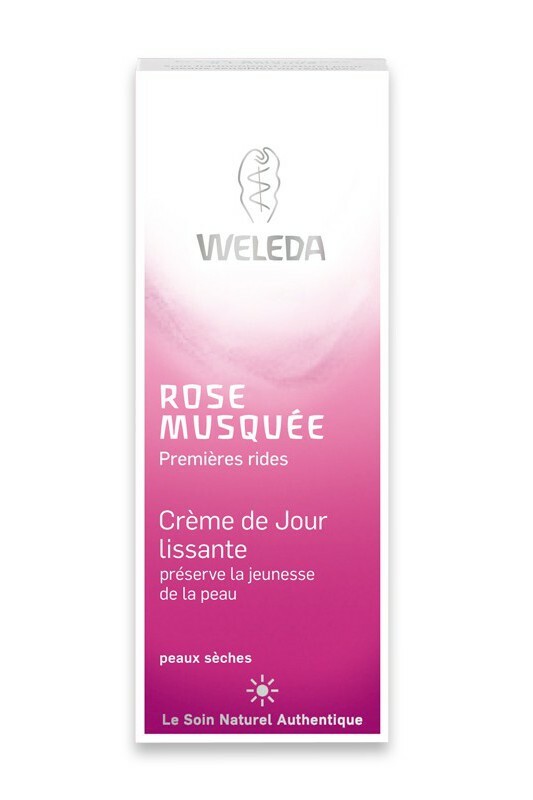 With preserved elasticity and vitality your skin is smooth, supple and luminous while your senses are harmonized with the delicate fragrance of fresh organic roses in Weleda Wild Rose Smoothing Day Cream. Apply Weleda Wild Rose Smoothing Day Cream to face, neck and décolleté after cleansing and toning. Apply on the face, neck and chest. Massage in gently. Use only as much as the skin can fully absorb. For very dry skin Wild Rose Smoothing Day Cream can be used in combination with the more deeply protective Wild Rose Smoothing Night Cream to produce a richer cream. Highly suitable for use under makeup. Water (Aqua), Prunus Persica (Peach) Kernel Oil, Prunus Amygdalus Dulcis (Sweet Almond) Oil, Alcohol, Glyceryl Stearate SE, Rosa Moschata (Rosehip) Seed Oil, Hydrolyzed Beeswax, Lysolecithin, Sedum Purpureum (Orpine) Extract, Equisetum Arvense (Horsetail) Extract, Commiphora Myrrha (Myrrh) Extract, Xanthan Gum, Fragrance (Parfum)*, Limonene*, Linalool*, Citronellol*, Benzyl Alcohol*, Geraniol*, Citral*, Eugenol*, Farnesol*.